At the University of Idaho, service learning is more than a teaching strategy that integrates course content with community service; it is the cornerstone of our institutional mission to engage learning, scholarship, and service locally, regionally, nationally, and globally. Our program fosters deeply enriching learning experiences that facilitate a mutually beneficial exchange of knowledge and resources among a diverse array of community partners. Consistent with the New England Resource Center for Higher Education's (NERCHE) standard, we couple "...university knowledge and resources with those of the public and private sectors to enrich scholarship, research, and creative activity; enhance curriculum, teaching and learning; prepare educated, engaged citizens; strengthen democratic values and civic responsibility; address critical societal issues; and contribute to the public good." Our mission is to provide "outreach that inspires innovation" and we do this by designing opportunities for University of Idaho students and faculty to engage in meaningful and sustainable local-to-global service learning experiences that advance knowledge, enrich learning, and improve the lives of our citizens. Research is central to our efforts to promote the greater good, and the Center supports and facilitates partnerships that address and solve complex social and global issues. Faculty and community partners routinely serve as co-educators, providing differentiating experiences for our students. Increasingly, we also serve as co-authors, advancing knowledge and innovation through our scholarship. In this way, we seek not only to solve problems through collaboration, but to generate and disseminate new methods to do so as well. 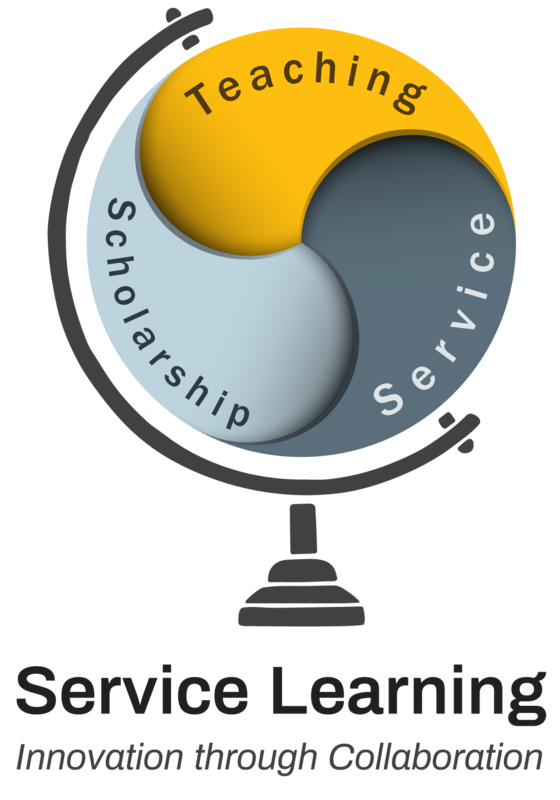 To learn more about service learning at the University of Idaho, please contact servicelearning@uidaho.edu or follow these links to find information specifically for Students, Faculty, or Community Partners. Please visit our Resources page for more information about service learning events, opportunities, affiliations and materials. Uof I student volunteers painting a building. Saturday of Service is an important service day that connects around 500 student volunteers with community organizations in need of assistance. Free t-shirts for the first 100 volunteers to arrive on April 20. Join us April 24 to learn more about community engagement and service learning on the Palouse. This mini-conference is an opportunity for University of Idaho and WSU faculty, staff and community partners to come together for collaboration. Jointly sponsored by WSU Center for Civic Engagement, U of I Center for Volunteerism, U of I Center for Service Learning and U of I Center for Excellence in Teaching and Learning.